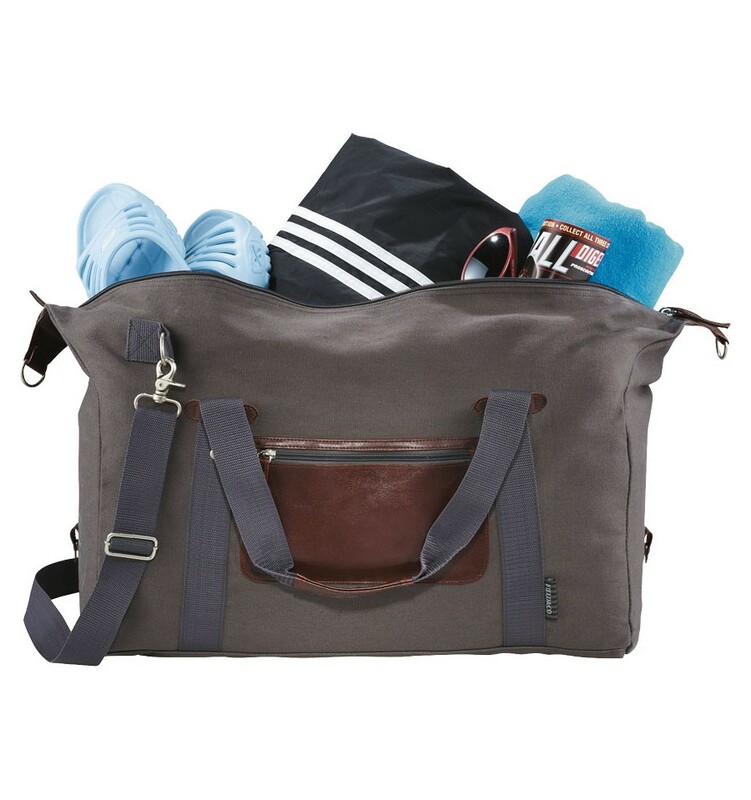 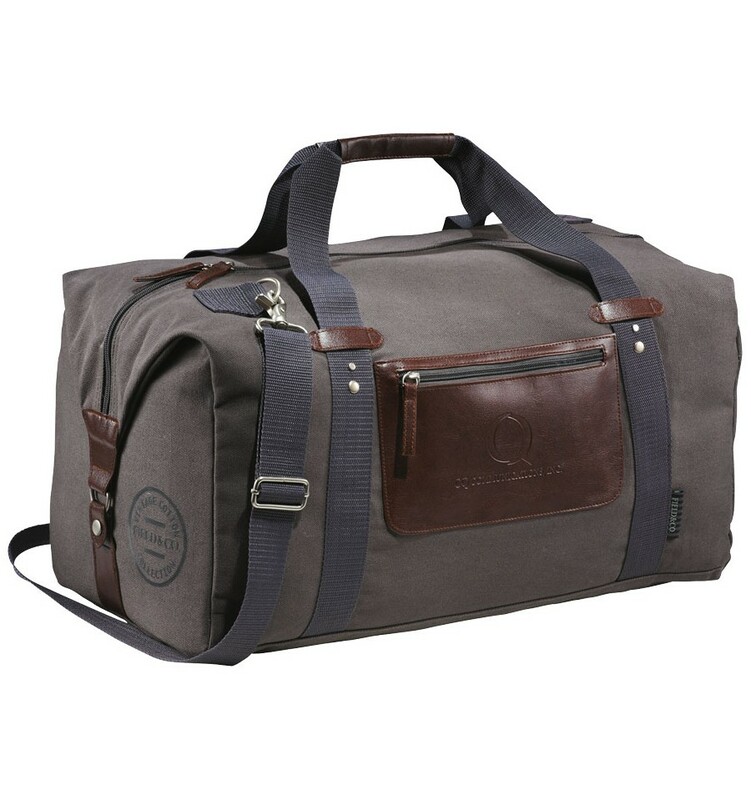 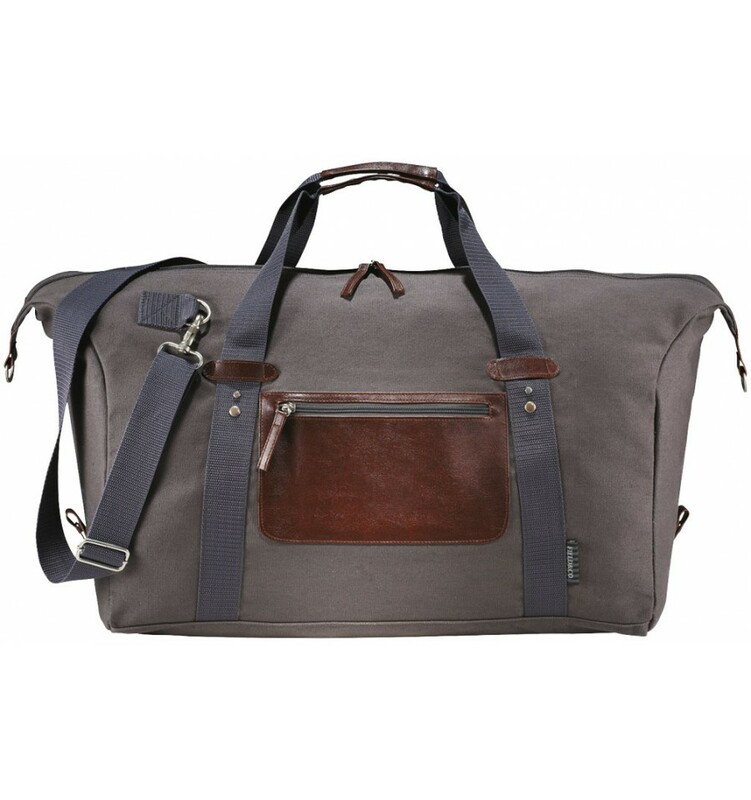 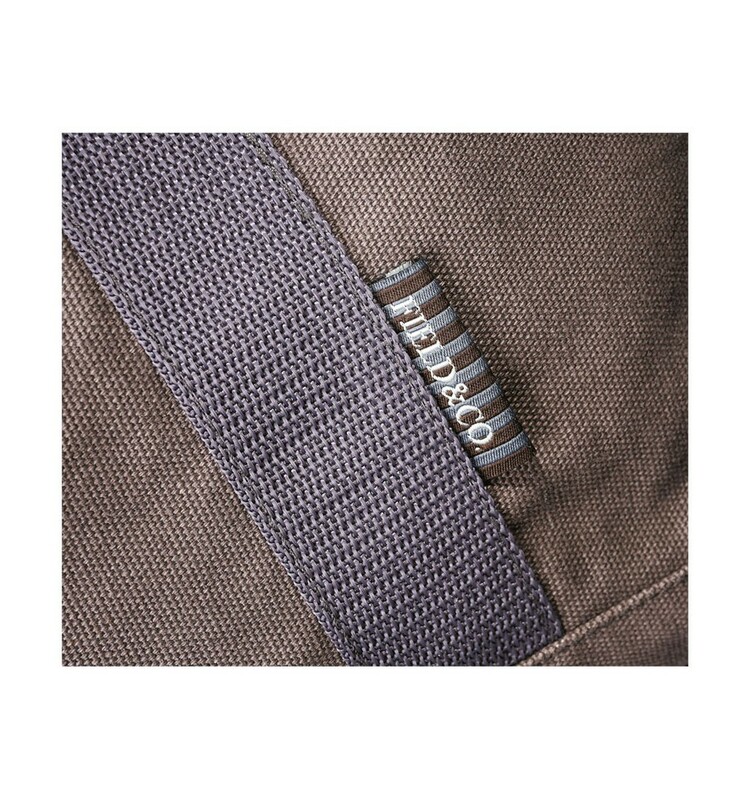 Exclusive design duffel bag, made of cotton canvas, features a large main compartment and unique Field & Co.™ details. 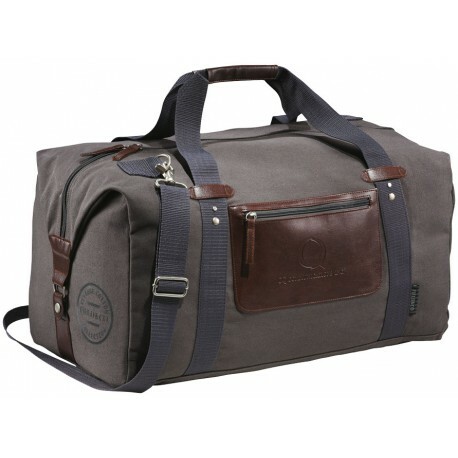 Vinyl accents, front zipped pocket and durable handles. 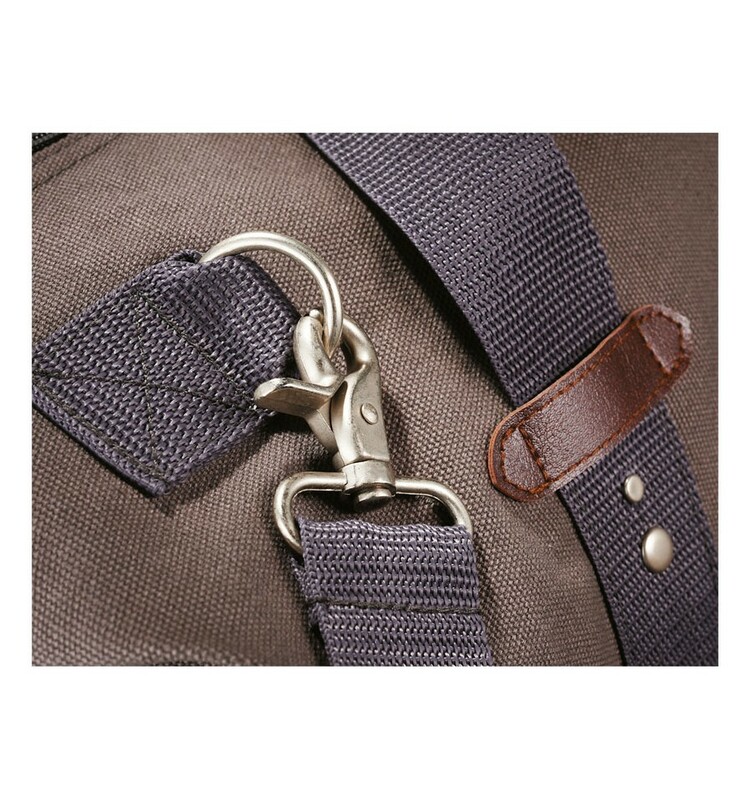 Sides can clip down when you are carrying less, or you can unclip the sides when the bag is fully stuffed. 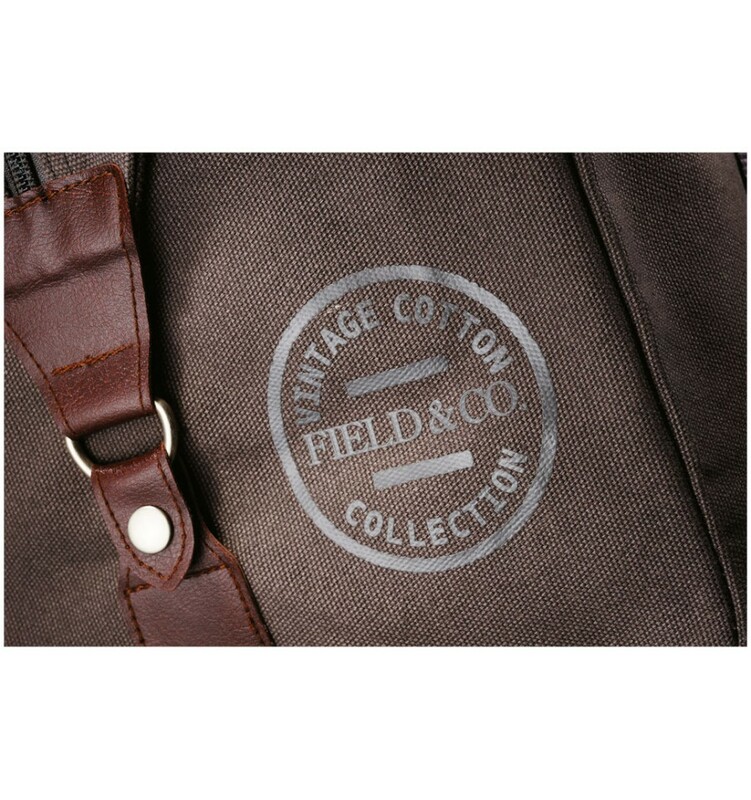 Canvas 18 oz. 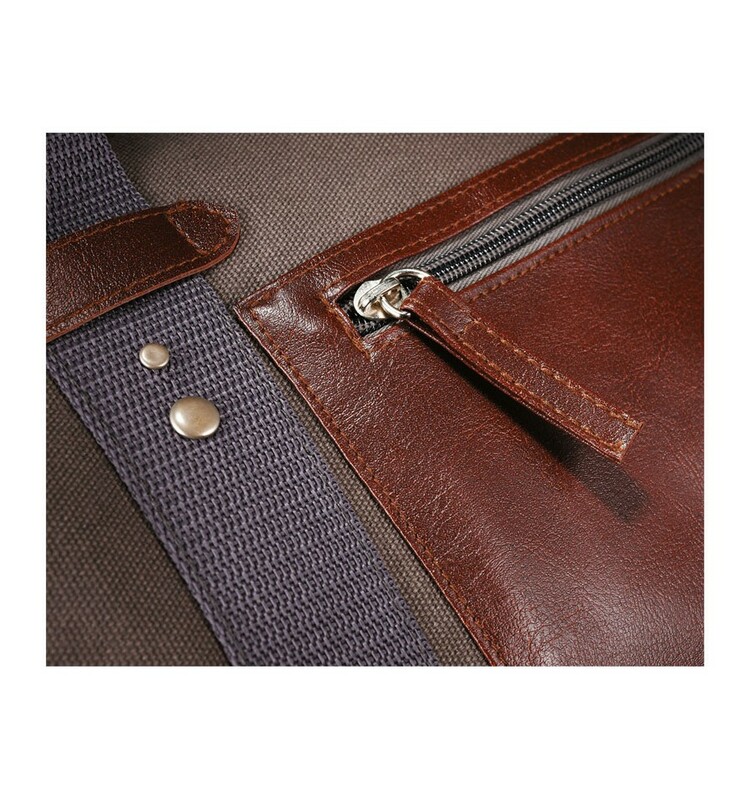 Cotton and imitation leather.